Ever felt like despite all the work you’re doing, you’re still not quite getting what you want out of life? Does it seem like despite all the work you’re doing and how much you’re putting into your dreams, things are kinda staying the same? THIS. Because we were still kinda jet-lagged after arriving in Spain, my husband and I ended up watching Tony Robbin’s new documentary on Netflix at like, 2 am. In one of the interviews, Tony Robbin’s said this and it was a huge “aha!” moment for me. As women, I think we often pride ourselves in how much we can “take.” We see ourselves as “stronger” for being able to tolerate more things. Just the other day, I was visiting a friend who just gave birth to her daughter and we were talking about how hard the experience was and how much pain she was able to tolerate. Your tolerance threshold says a lot about why you’re not getting the things you want. And if you are in this situation, that means you have to lower it down, because most likely, you have been tolerating too much. Set your limitations. If you want to experience a life of design, one that is full of the things that you say you wanted, you need to bring your “pain threshold”, or “pain tolerance” down. A high tolerance for things will not give you your preferred results. 2. You make yourself available to the things you don’t really want, instead of making yourself available to the things you want. On the other hand, we get what we make ourselves available for. People don’t realize this, but take this hint, –if you have already contemplated and made concessions about what you are going to do if and when a particular circumstance happens, then you are already making yourself available to that situation. My own physical fitness goal is an example of one of the things I do best. This may sound bad, but I don’t tolerate being out of shape. I don’t tolerate extreme weight gain so I do everything I could to be fit all the time. I don’t even make concessions for this, it’s just unacceptable for me, so I just naturally do everything that I need to do. You have to lay out your non-negotiables. Instead of thinking of a contingency plan, think about what you can do to prevent it from happening. 3. Your fears and beliefs affect your tolerance threshold. As an entrepreneur, I myself don’t sometimes get what I want in terms of pricing. When you are running a business, there is the fear that people may not be buying your stuff because of the price, or that people may think your products are not worth the price you are selling it for. Because of that fear, the tendency for you is to give in to people’s demand for discounts because you were led by that fear to believe that people think your product is not worth that much. We tend to stretch ourselves, increase our tolerance level, for fear of not getting something we want. We take anything that’s close enough to what we need. And then we complain. How much you allow things to go in your life dictates what you get in life. For the full audio, please check out the podcast on iTunes and Soundcloud. You are not being precise with your goals . There’s a quote that I love that says, “Your life is perfectly designed for the results that you’re getting right now.” That is completely true. Do not allow something that you want to be open to interpretation. Set it out clearly so that people know your threshold. If you want to be treated in a certain way, get paid a certain amount, you need to declare that from the outset, before engaging with people. Don’t make it their responsibility to ask you, because people aren’t going to do that. It’s your responsibility to inform people about your standards. Structure your environment to support your goals from the outset. Whether it’s your career or personal relationships, you should assert your tolerance level. Stop complaining about how your boss is a jerk, how your job is messed-up. You know you could be earning as much or more than your boss does, but then, again, you get what you tolerate, what you make yourself available for. When you continuously date a man who treats you poorly, and letting your friends and family disrespect you constantly, you are literally making yourself available to that type of treatment by being passive about it. To get the job and the relationship you deserve, it is important that you set a threshold on what you will tolerate, what you are willing to accept, and when to draw the line and just say no. Here are some guide questions to help you identify the things you have been tolerant with and what you can do to correct it. Ask yourself where in your life is your tolerance too high? 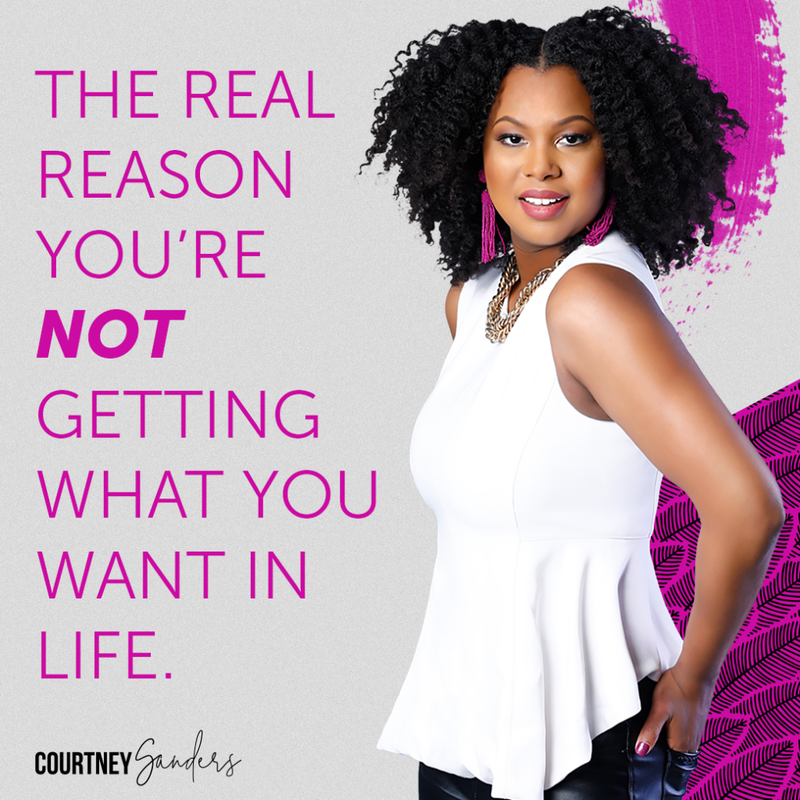 What aspects in your life are you making yourself available to the very things you say you do not want, and why are you doing it? What are you afraid of? Are you willing to say no to things? Are you willing to say no to the good, in order to receive the great? If you hate your job, and you feel that you’re underpaid, ask yourself how did you make yourself available to that? Why are you settling yourself for that salary when you know deep inside that you deserve better? How did you tolerate that? Why did you tolerate that? What concessions did you make before you even went into the interview? Getting what we truly want in life is easier when we have a clear goal and a total understanding of what we are willing to tolerate, by setting our tolerance threshold. We have to be vigilant in having the right mind-set, in identifying and changing our limiting beliefs, because they will manifest and affect our lives in unexpected ways.